Dolakha and Sindhupalchowk districts are two major project sites of Nepal Jesuit Social Institute. NJSI has conducted various projects of different streams in these districts. NJSI has already built two women activity centers in respective districts. 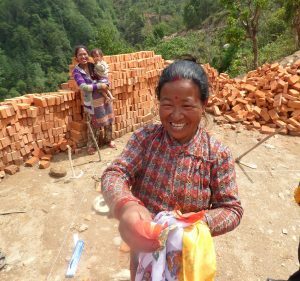 Recently, NJSI has started the construction of two more multipurpose halls for women’s group of Suri, Dolakha called ‘Jal Devi Women Group’ and ‘Mujuwa Swawalamban Women Group’ of Haibung, Sindhupalchowk on 29th of April and 6th of May 2018 respectively. These projects are funded by Xavier Network. 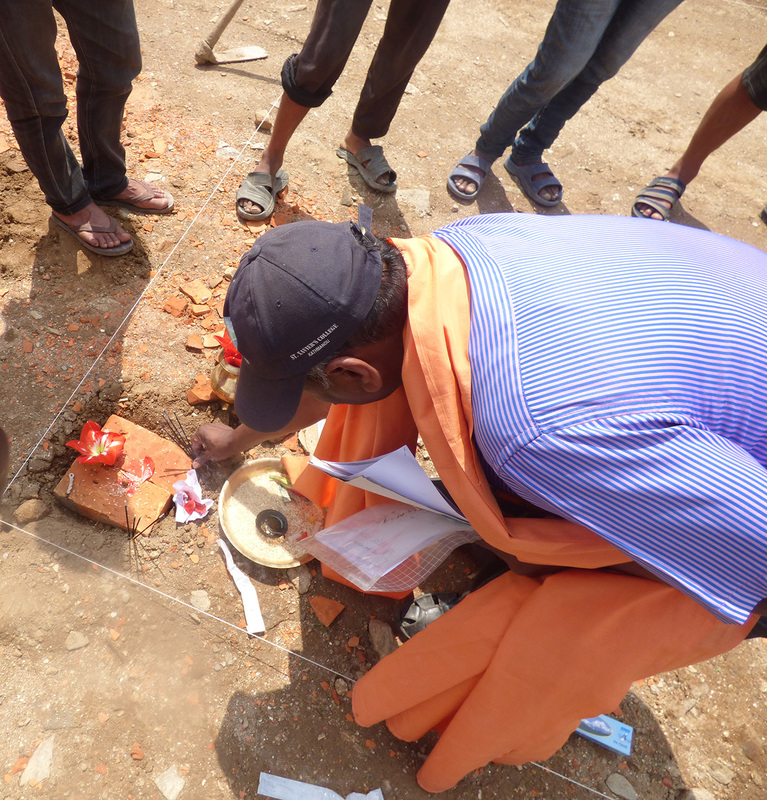 NJSI is also thankful to the individuals who have offered their land for the construction. 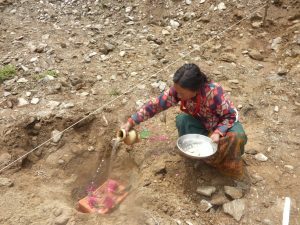 Jal Devi Women Group members are mostly Tamangs, engaged in farming and animal rearing. Similarly, Mujuwa Swawalamban Women Group constitutes of Gurungs and other indigenous ethnicities engaged in similar profession. Each group comprises of about 25 members. A common goal of both of these groups is to be independent and self-reliant. Therefore, they wish to use the hall to regulate meetings for saving and credit cooperation, discussion of social reformation agendas and to conduct skill trainings. NJSI looks forward to help these women enhance themselves economically and socially. 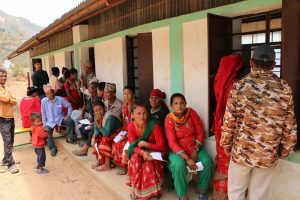 Nepal Jesuit Social Institute thrives to help people of remote places meet their essential needs. 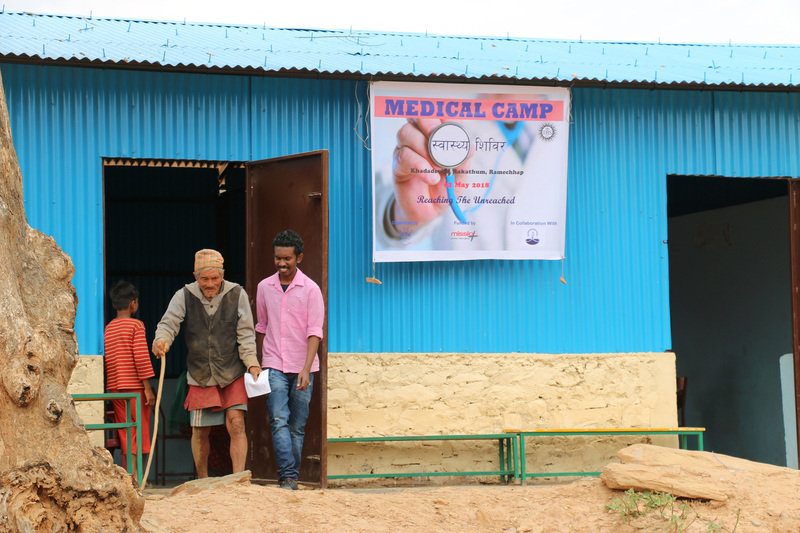 Therefore, NJSI organized a medical camp on 2nd of May 2018 in Chapadi village of Rakathum, Ramechhap in collaboration with Navjyoti Center and sponsorship from Misio Achen. Though Rakathum has road access, there are no regular routes of public transportation. Therefore, villagers have to walk two hours to reach the nearest health post. This closest health post is facilitated with only few general medicines, a health assistant and three mid wives, responsible for taking care of villagers of all neighboring villages. Hence, people tend to neglect their health condition and it has had led to problematic situation during the time of emergency. A team of four doctors and 10 staff members facilitated the treatment of 102 patients (52 male and 50 female). They came from three villages: Khaniyapani, Chapadi and Lhubhu. 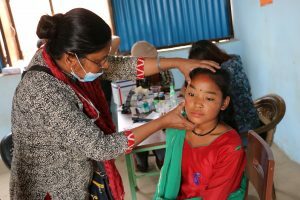 Most of the patients were prescribed medicines for vitamin deficiency (54%), muscles and joint problem (49%), eye problem (23%) and respiratory problem (12%). In contrast to the assumption of the physicians, only few cases of gynecological problems were reported. This might have been influenced by the stigma associated with menstruation and reproductive health of women, says Ram Hari, a local inhabitant and staff to NJSI. For the sustainability and better impact of the program, regular and frequent health inspection is suggested.